When Melbourne designer Claire Louise Smith was considering the values and ideals for her future fashion label, she knew one thing for sure. She wasn’t going to stick with the traditional model of creating seasonal collections – a model that is all but broken in a fast fashion society. No, she would create considered collections of clothing that were well made and timeless. After graduating from RMIT University with a BA in Fashion, the budding designer worked and travelled for over a decade — 5 years of which were spent in London and New York gaining an international perspective on the fashion industry. In New York, Claire studied illustration at Parsons School of Design, during which time she scribbled down the words ‘Permanent Vacation’ in her note book. She returned to Melbourne in 2014 to take up an MBA at University of Melbourne, carrying a mission to bring a global perspective back to the Australian fashion industry, and create something meaningful that supported the local manufacturing industry. This determination, coupled with Claire years’ of experience and observation, led to the launch of Permanent Vacation – a fashion label focused on creating high quality clothes that are easy to wear, effortless, considered and timeless. Now a few years and collections into the journey, Claire says she finds design inspiration in “mundane suburban outskirts and the pedestrian backdrop of everyday life” to create each nuanced collection of super wearable items. Permanent Vacation is all designed and made in Melbourne, in a number of factories that are located within a 15km radius of Claire’s Collingwood studio. When it comes to the materials used, the collections feature predominantly natural fabrics, which Claire says are sourced mostly from Japan or are deadstock fabrics she finds through other sources. “I choose colours/fabrics intuitively each Project and the process can differ; sometimes a collection can begin with a few amazing fabrics and the entire concept grows from there. Or alternatively I can start a collection with a really strong idea of colour, so then I have to source fabrics that fit in with that,” she says. Permanent Vacation works in these Projects rather than seasons, and they leave all pieces up online until they sell out. “I feel the idea of the seasonal calendar is super outdated, particularly for Permanent Vacation as I aim to design each style with a global market in mind.” Claire says. “Additionally, seasons aid in speeding up consumer purchasing, so Projects are the antithesis to that. Each project is carefully curated to encompass diverse tastes in style, and colour palettes are thoughtfully edited for each new project. In terms of reducing waste during production, Permanent Vacation only produce to meet demand so have the bare minimum waste leftover after each production run. 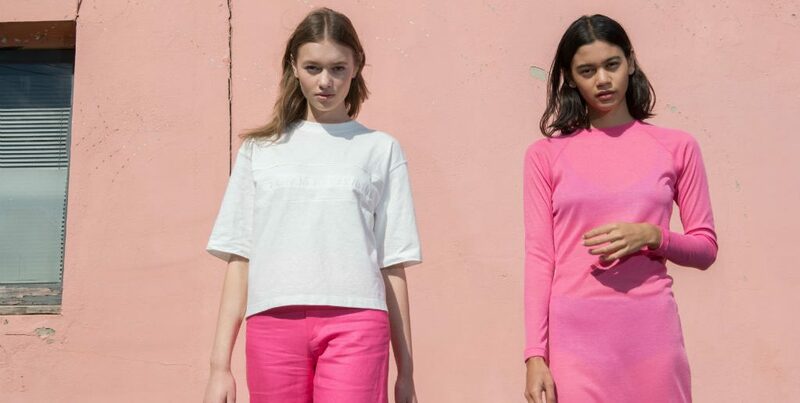 While Permanent Vacation has focused on creating long-lasting, loveable pieces for women so far, Claire says there’s a long-term vision for creating a range for men too, as well as lifestyle products. She says she wants the label to be inclusive, creating pieces that can be worn and appreciated by anyone. In the meantime, women worldwide with an eye for high-quality products and an interest in design and sustainability, will find what they’re looking for over at Permanent Vacation. Brittanie is the founder and editor of Britt's List, and an advocate for sustainable and Australian fashion. She loves indoor plants, hot chips, blue cheese, boutique gin and patting puppers on the street.